﻿Frozen Fountains | So Many Exciting and Beautiful Places! Our driving range was greatly reduced on Saturday because of the bitter cold, plus snow and wind. We drove 5-10 miles below the speed limit, and reduced the heat significantly, to make it from one charge station to another. 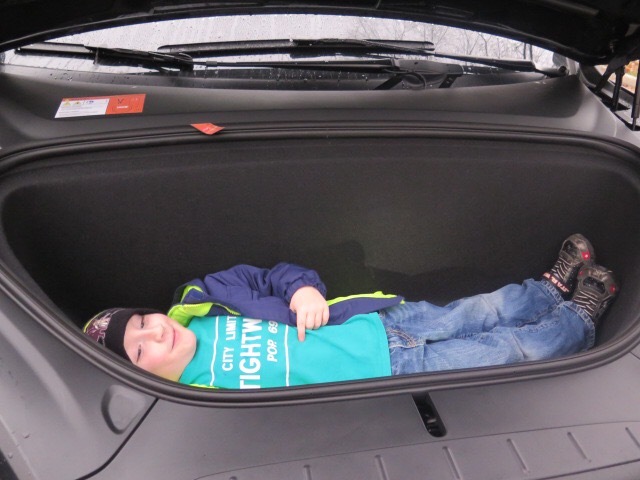 Normally, we could expect to get up to 250 miles on a full charge, but with the cold weather, we were closer to 180 miles. That meant more and longer stops along the route. We were quite happy to arrive at our destination, where we could plug in overnight. 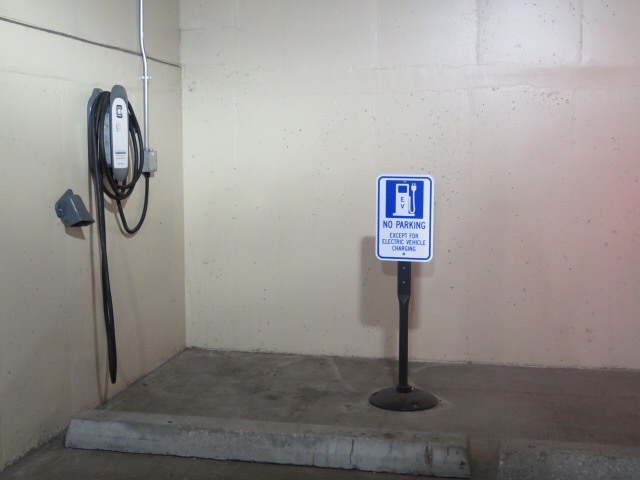 We stayed at the Hampton Inn by the Country Club Plaza in KC.The Hampton has two J1772 electric vehicle charging ports in its parking ramp. Neither were in use, so we could plug our Tesla in to get a lovely charge overnight. The port gave us about 48 amps, compared to the normal 40, something that excited my husband. 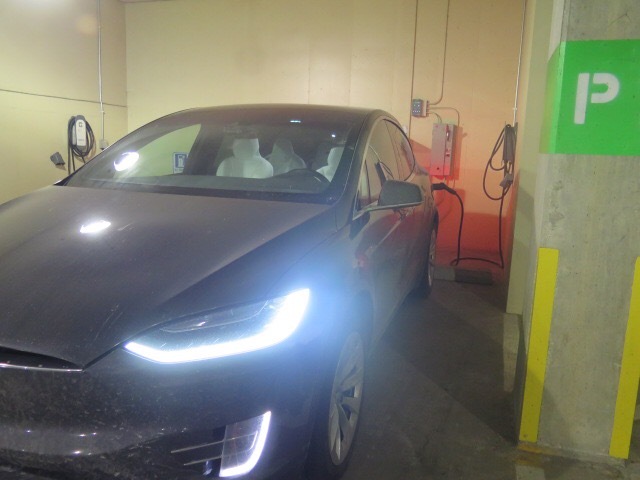 Kansas City Power & Light has established a Clean Charge Network, which includes over 1,000 electric vehicle charging stations, located throughout the city, and generally free of charge, so people can charge while at work, dining, shopping, etc. The city has made it very easy for the local commuters to use electric vehicles. Kansas City is known as the City of Fountains, although most do not operate during the winter. Most are located in beautiful parks. A foundation was established in 1973 to raise money for construction and ongoing maintenance of fountains. There are now 48 publicly owned fountains, and about 150 others, that can be enjoyed by residents and visitors. They certainly do enhance the city. The fountains are re-energized on Fountain Day, the second Tuesday in April, and they usually run through October. The Country Club Plaza is beautifully decorated for the holidays, with most of the buildings outlined in light, the switch thrown by a local celebrity on Thanksgiving evening. Country Club Plaza opened in 1923, and was the first shopping center designed to accomodate shoppers arriving by automobile. 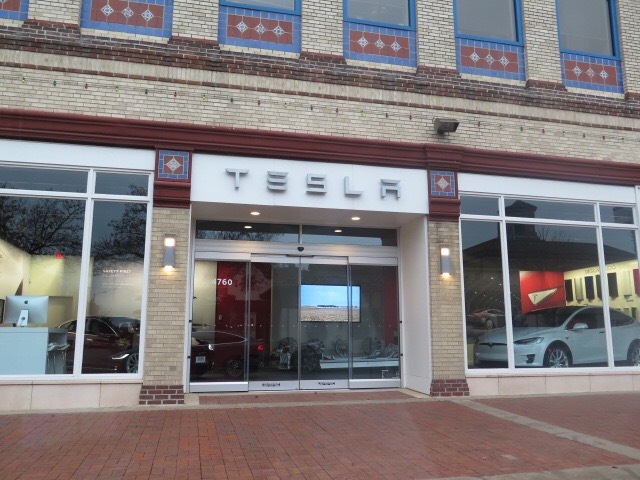 It seems appropriate that there is a Tesla dealership located on the outskirts of the Plaza. The buildings were designed architecturally after Seville, Spain, and the Plaza has been named in Project for Public Spaces’ list: 60 of the World’s Great Places. I read through the list, and am happy to say I’ve been to thirteen of them so far – I have a lot more traveling to do. We spent the day visiting my brother and his wife and their family, which has been growing for a few years, and continues to do so. He has three children and four grandchildren, with number five arriving in the spring. Great-grandpa Ed was well entertained by all. 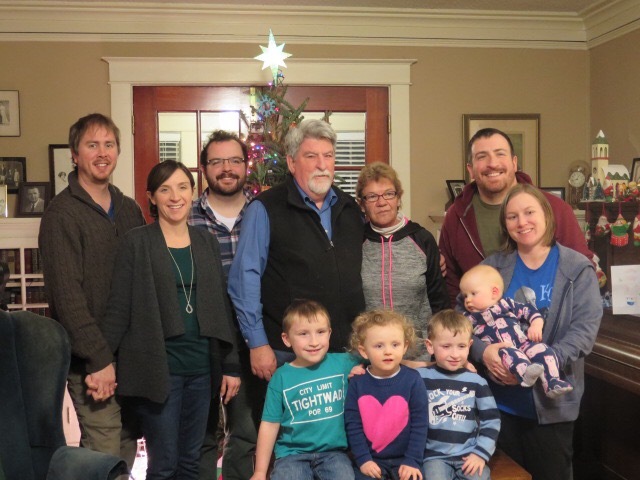 It was a delightful day of reconnecting with this vibrant and loving family. The boys were especially intrigued with the Tesla. 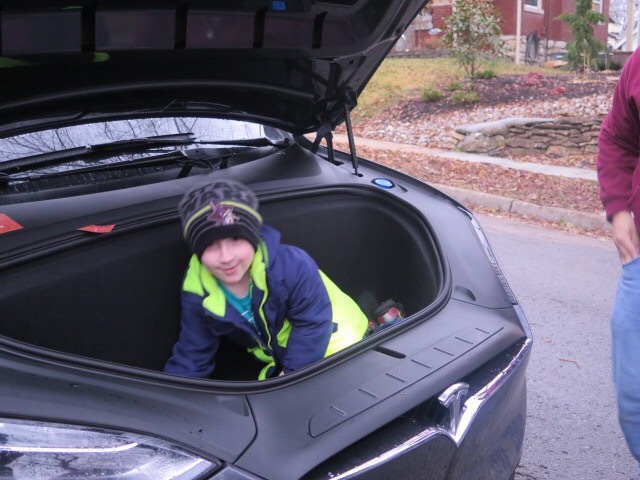 This entry was posted in Road Trip, Tesla, USA Travel and tagged Project for Public Spaces. Bookmark the permalink. Tesla stock just wen up by $60 a share, word must be out you two are on the road!